Learn to make beautiful bath and body products from scratch. 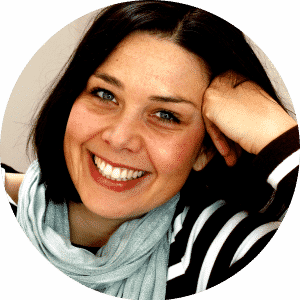 Here you find free tutorials for making cold process soaps, bath bombs, body butters, face masks, serums and a lot more. 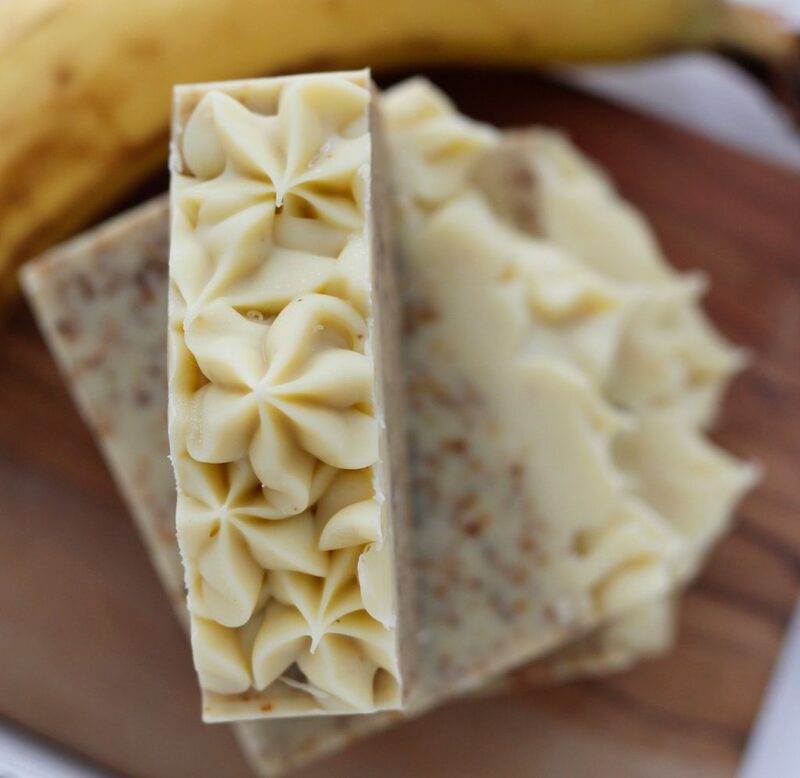 Last month I experimented with different ways to use bananas in soap. 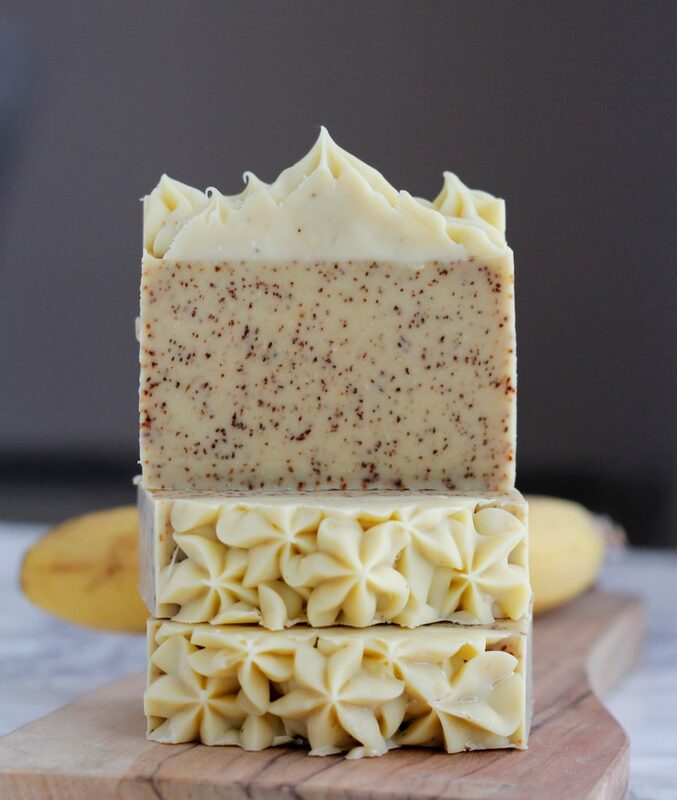 I wanted to find a visually pleasing outcome for today’s banana and cream soap. The results ranged from light cream color with a little bit of specks to really brown with lots of specks. You can check out the post here and see the side by side comparison. 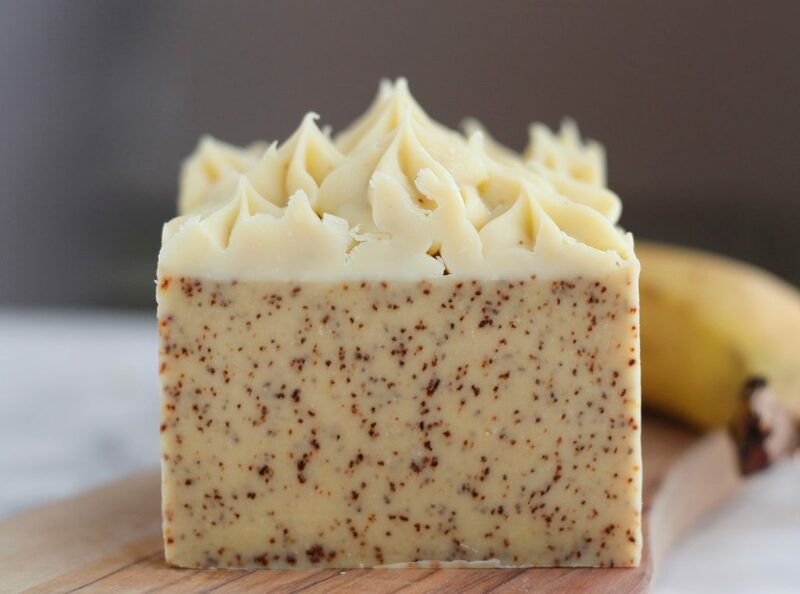 For this soap I decided to use a fairly ripe banana since I knew from my experiments that I would get this awesome speckled effect which would contrast well with the white piped top. After I was done making the soap I put it in the freezer since I absolutely wanted to avoid gelling. 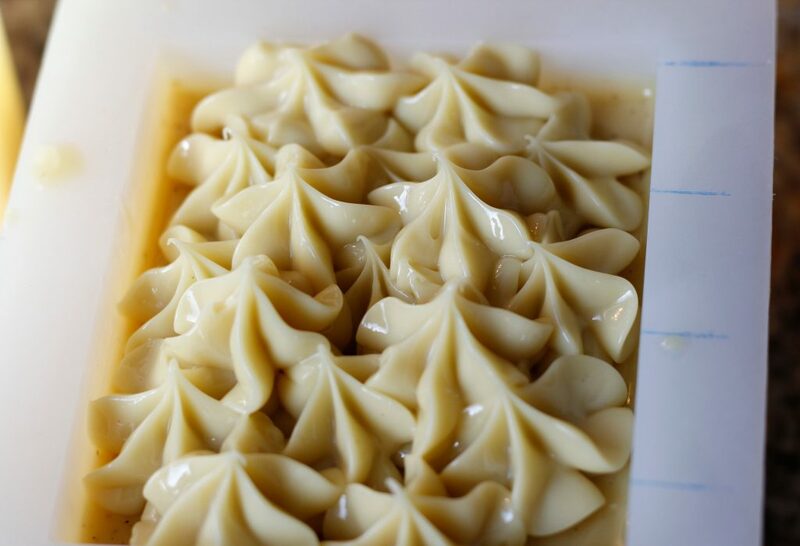 To add even more rich creaminess and moisturizing properties to the soap I added a good amount of heavy cream. What makes heavy cream in soap so skin loving is it’s high fat content (a whopping 36%). To counter this you have to be careful not to go overboard with your superfat in the finished soap. 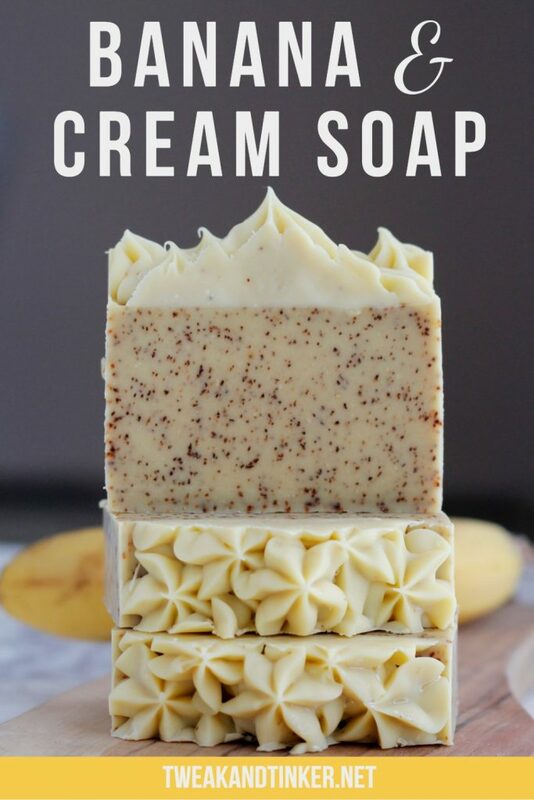 Here’s a great article that walks you through how to add heavy cream to your soap . 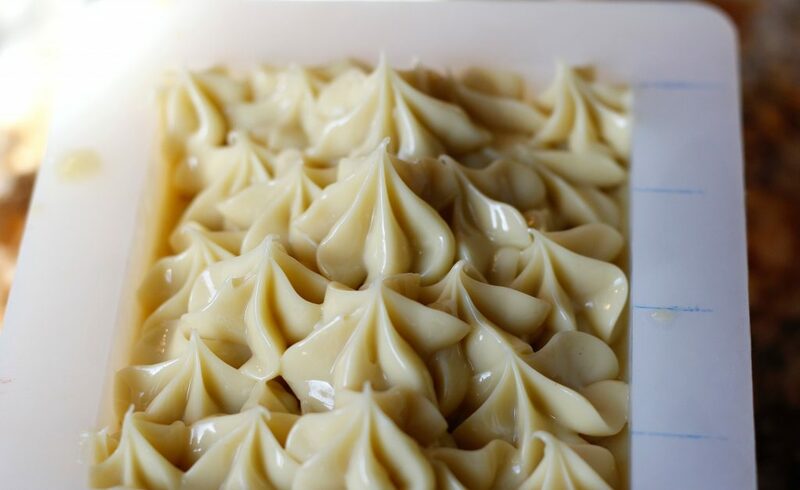 Let’s get started making banana and cream soap, shall we? 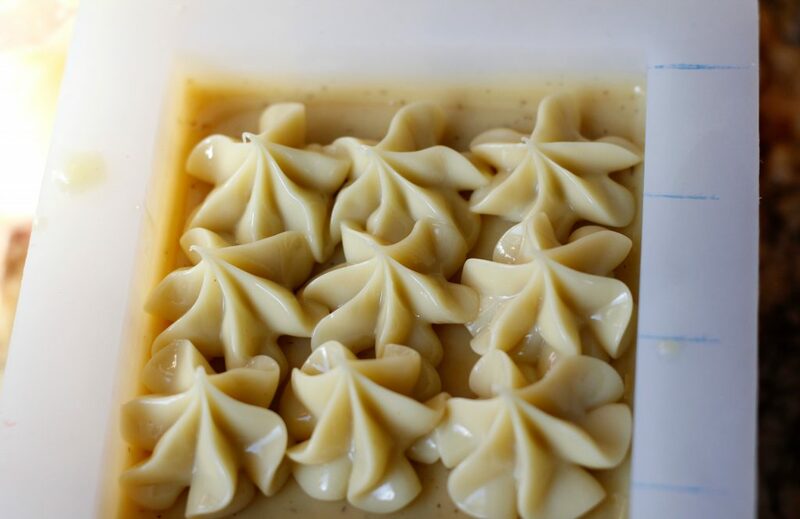 If you’ve never made cold process soap before, make sure you check out my posts on lye safety, my beginner’s tutorial and my list of equipment needed. Disclaimer: This post contains affiliate links, meaning at no additional cost to you will I earn a commission if you decide to click through and make a purchase. This recipe uses a lye solution of 45% and a superfat of 3% to account for the extra water and fat that comes from the heavy cream and banana. Until next time. Happy Tinkering! I’ve just discovered your blog. I’m a fairly new soap maker but already find myself wanting to throw in lots of different ingredients, a bit like when I cook! Banana sounds like a great one to try and we always have some ripe ones around. My question is about replacing the heavy cream with something vegan, like coconut cream, perhaps. Any thoughts on quantities? Thanks for sharing your recipes! Hi Caroline, I’m pretty sure you could replace the heavy cream with coconut milk using the same amount. I don’t see why not. Maybe try a small test batch first. Happy Tinkering! I wouldn’t put fresh fruit in Melt and Pour Soap since there’s a good chance that it will go moldy. Cold process is a different story since the saponification process alters the chemistry of the fruit and will then not allow for mold to grow. Happy Tinkering! Hello and welcome. I’m Celine and I make stuff. Stuff that’s pretty, useful and good for your skin. Why don’t you come along for the ride? It’ll be fun, I promise.